Manufactured by BioTest, Hot Rox Extreme is a fat burner pill containing thyroid stimulating and anabolic/anti-catabolic ingredients. The manufacturing company claims that this fat burner pill stimulates energy level, promotes natural fat loss, and helps in gaining muscle. 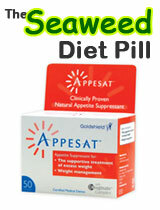 It is the most effective solution to gain a slim and toned body. One bottle of Hot Rox Extreme contains 110 tablets and its price is GBP 54.99. aggressive marketing has put it on the fast track in the market but there are also concerns about its efficacy and safety as a natural fat burner. 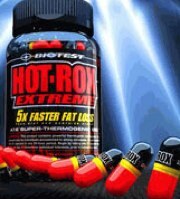 Hot Rox Extreme is a fat management pill. It makers, BioTest Company claim that it is one of the most efficient, side effect free fat burning pill in its category. The ingredients included in Hot Rox extreme are known for their thermogenic quality which is a great trigger for natural fat burning method. However the concentration of these ingredients is quite high raising concerns about how it will affect users. Since there is no official website or evidence of clinical data to support the manufacturer’s claims, Hot Rox Extreme should be treated with extreme caution. 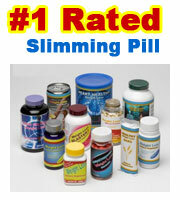 This fat burner pill works as a support to rigorous exercise and diet for those who want to slim down drastically. 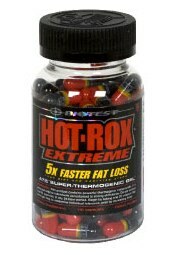 The ingredients in Hot Rox Extreme are said to increase intracellular creation of ‘cyclic adenosine monophosphate” and thus work as metabolic regulators. These ingredients increase production of thyroid hormone TSH which breaks down fat as it is naturally wont to do. However, consumption of Hot Rox Extreme should be done in moderation and preferably under medical supervision. Overdose may lead to severe hormonal dis-balance, may also be trigger for thyroid malfunctioning if taken for a longer time. Users who have history of hormonal or thyroid imbalance should consult their doctors before taking pill. May induce insomnia if taken in evening. It is not suitable for people below 18 years of age. The makers of Hot Rox Extreme claim that the users will lose 10 pounds per month. It is quite a bit of weight loss for such a short time and may be dangerous for health. Again, they recommend consumption of the pill in empty stomach but many users have experiences severe vomiting problems when they have done so. Since you cannot fall back on an official website to address your doubts or queries, you have to rely on third party information from the online retailers who sell Hot Rox Extreme. Their motive is sales so their reviews are bound to be positive. But officially there is no obligation from the makers to prove its safety. 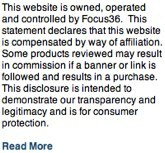 This is quite evident from the lack of money-back offer. They are not answerable to their buyers who on the other hand should be extremely wary of buying this pill without background research. CVan be purchased on several focused US website. Not available to buy instore it would appear at the likes of Boots, Tesco and Superdrug on the high street in the UK. Both Capsiplex and PhenQ are highly recommended fat burners. If you are considering using an over the counter non prescription slimming pill then these two are definitely for the short list.